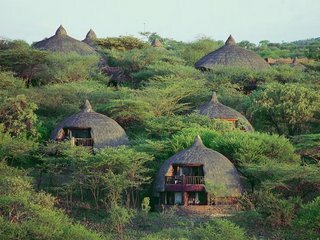 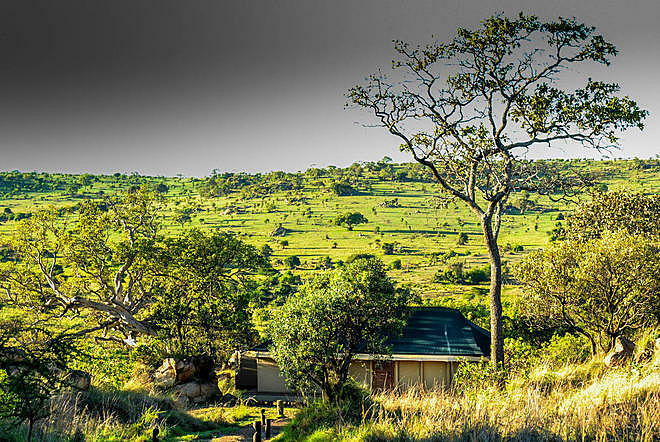 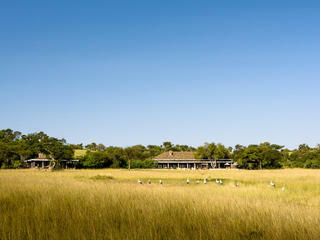 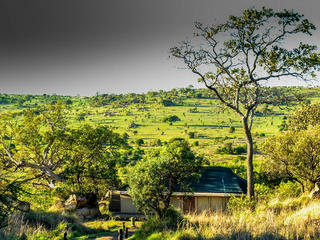 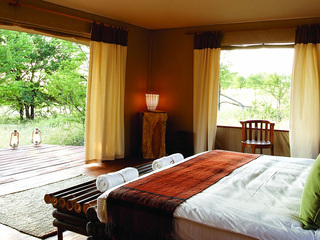 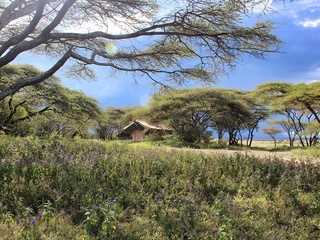 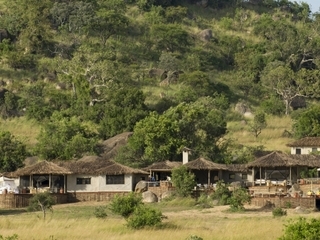 Up in the Wogakurya Hills nearby the Mara River sits Lemala Kuria Hills Lodge. 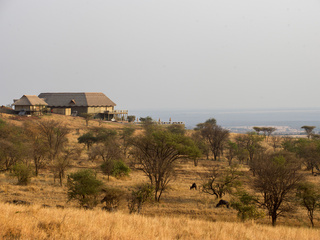 It overlooks the Tanzanian wildebeest migration, offering a front-row seat to a world-famous phenomenon whilst ensuring privacy, comfort, and luxury. 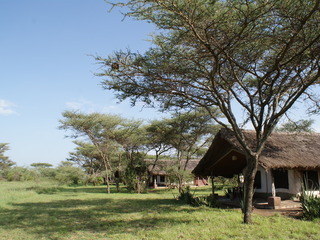 Activities here centre on providing a taste of Africa. 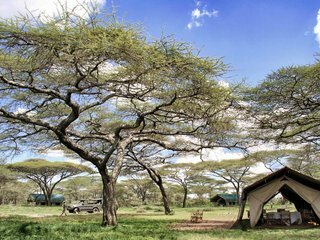 This is achieved through explorations of the Serengeti wildlife either by open-top 4x4 vehicles or by foot, each led by excellent guides. 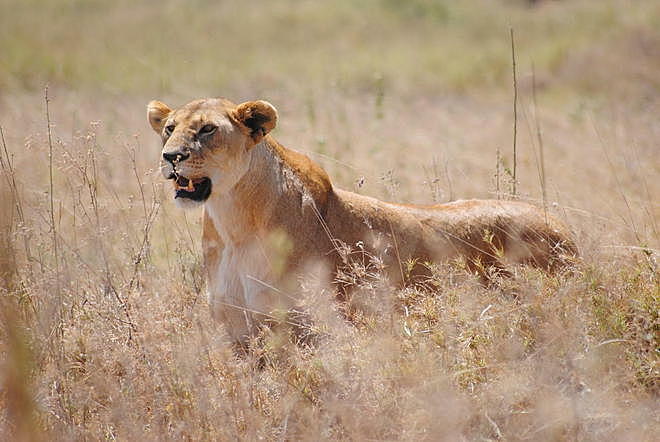 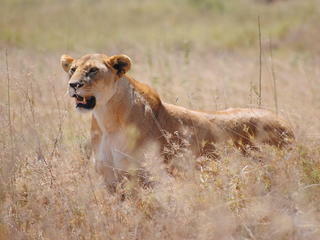 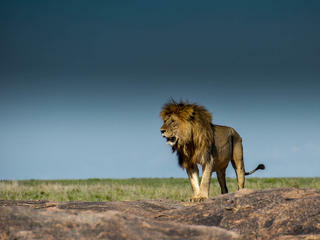 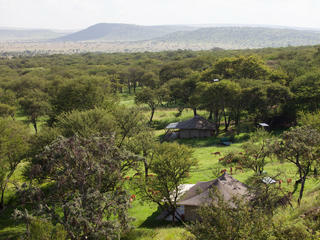 Baboons, lions, leopards, and hyenas are just some of a wide variety of animals guests can spot in the area. 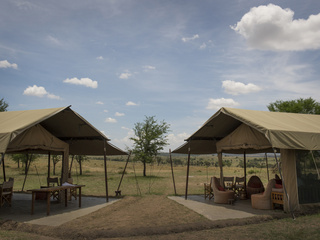 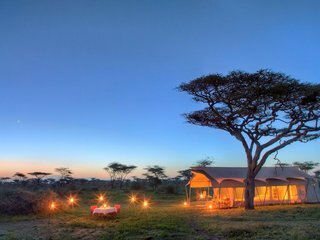 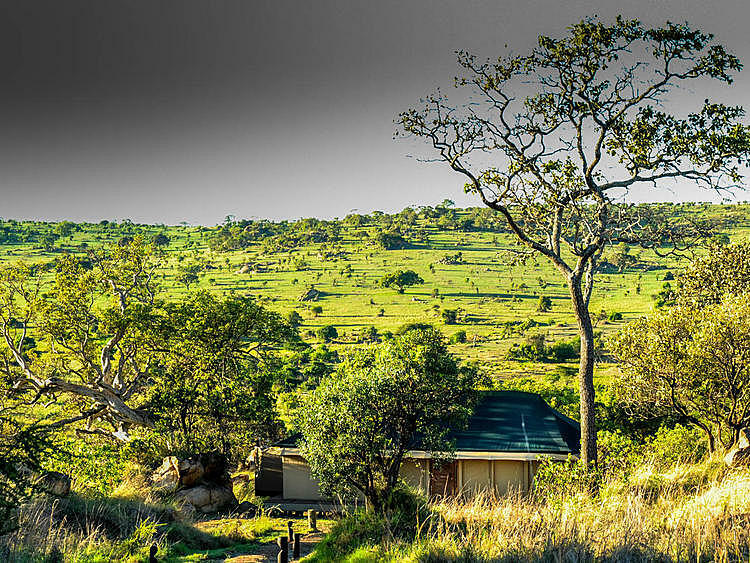 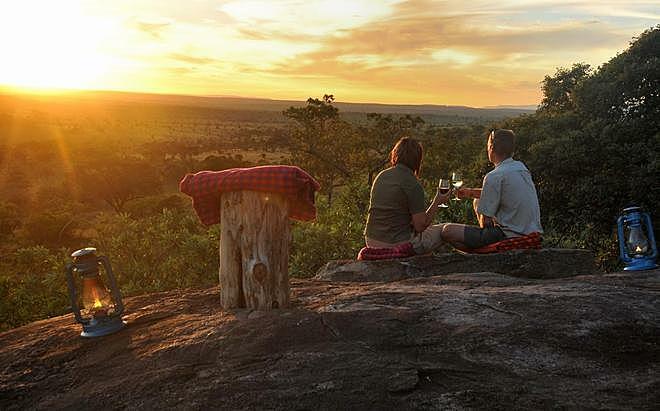 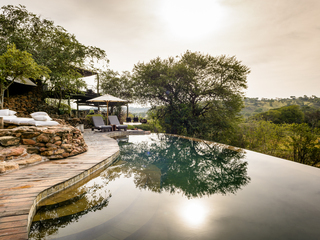 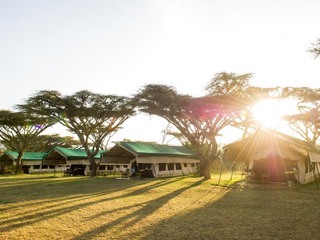 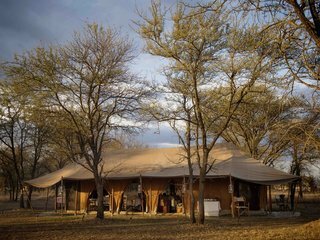 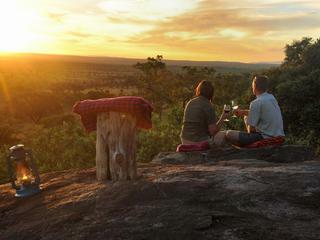 During the evening, guests can enjoy sundowners or bush dining as they sit around a fire watching the sunset and listening to the hive of wildlife activity around the camp. 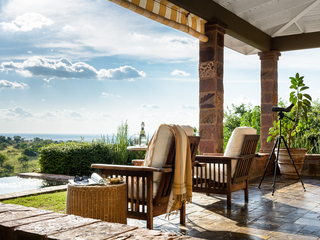 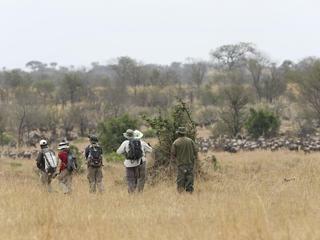 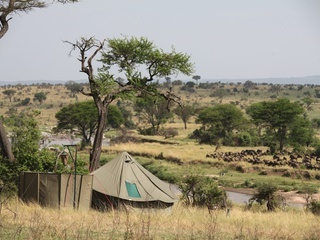 Whether during the migration period between June and October or during other times of the year, guests’ visits will be defined by the private sights of spectacular African plains. 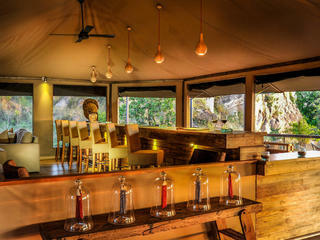 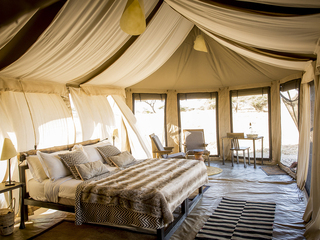 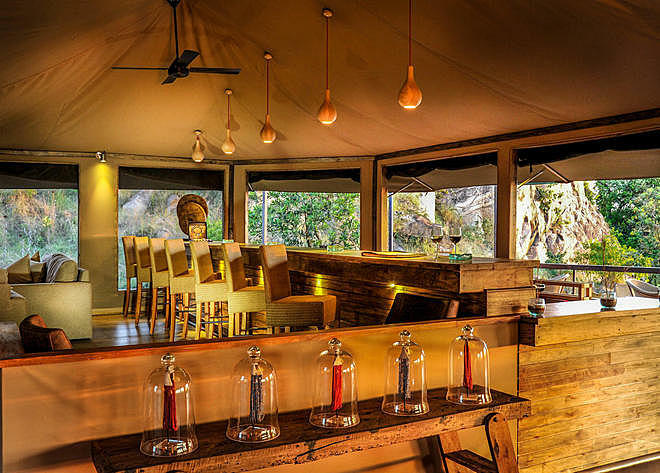 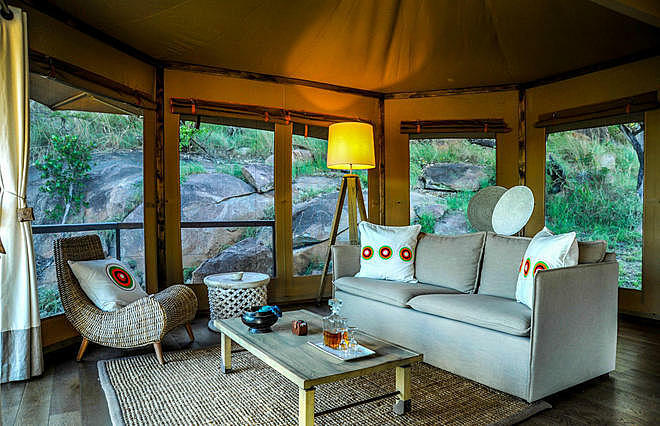 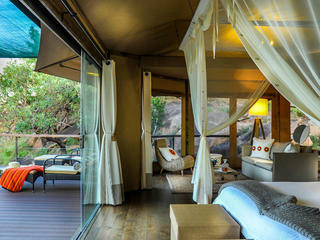 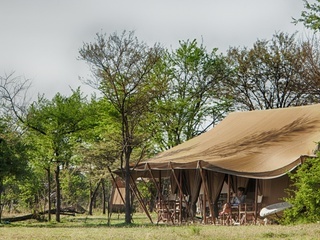 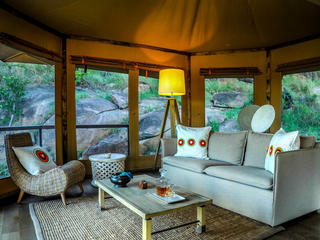 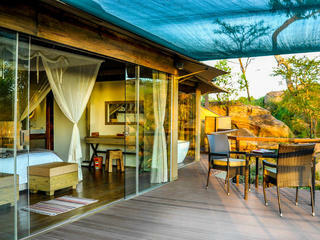 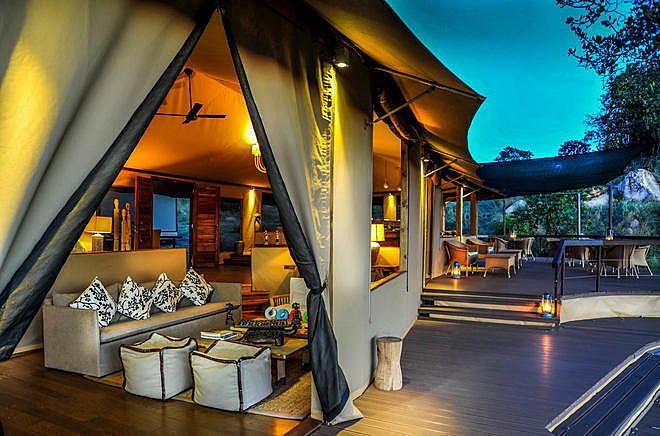 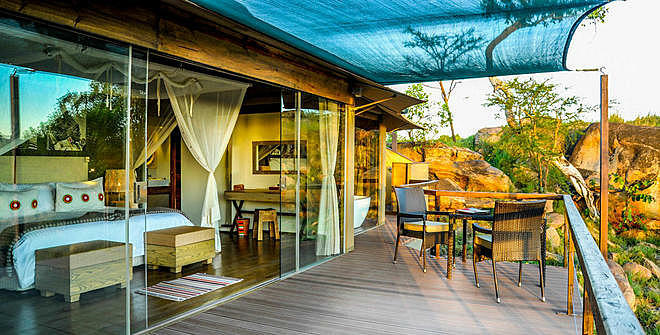 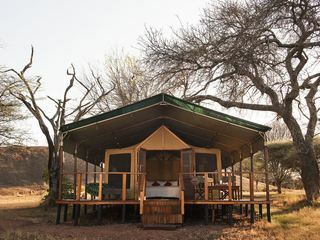 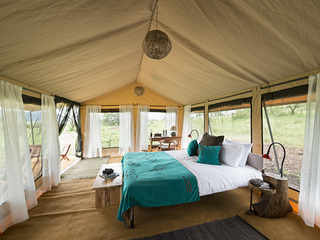 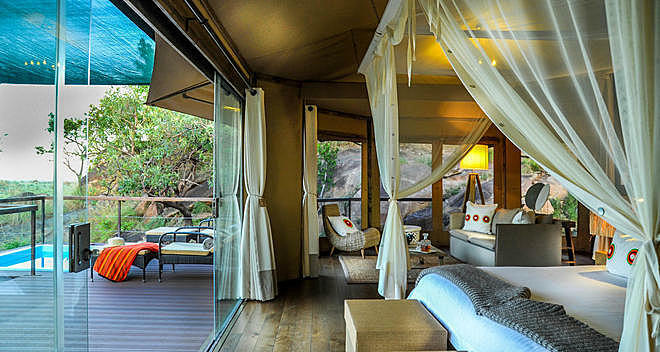 15 luxurious glass-fronted suite tents serve as guest accommodation. 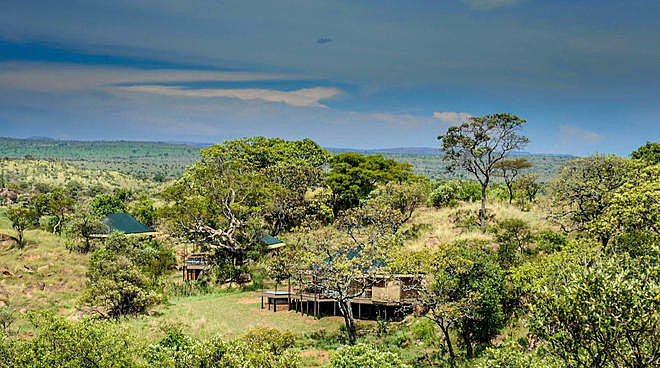 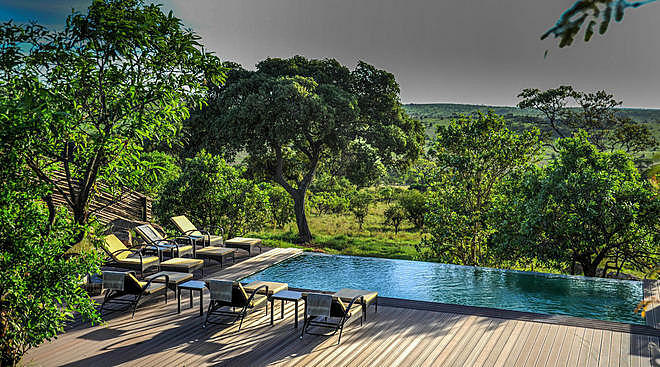 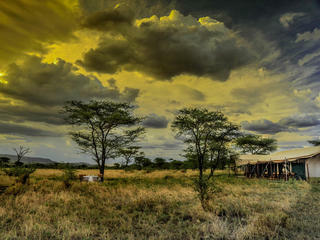 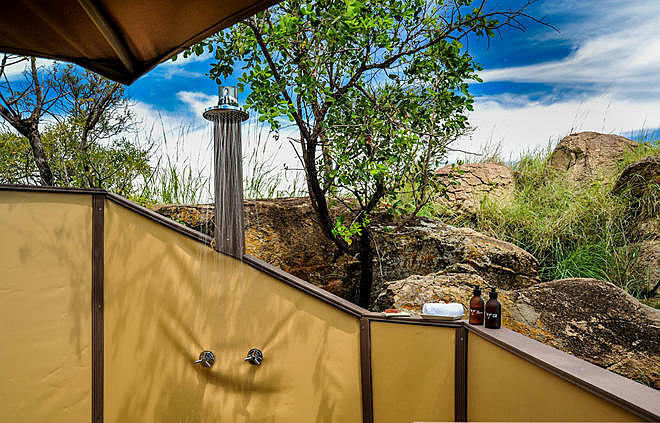 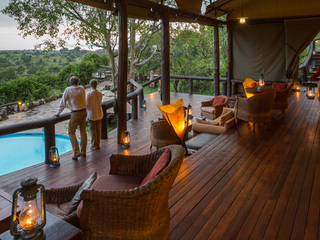 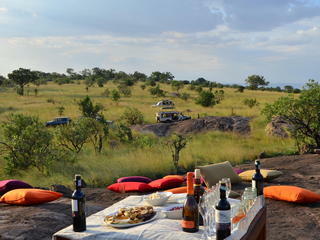 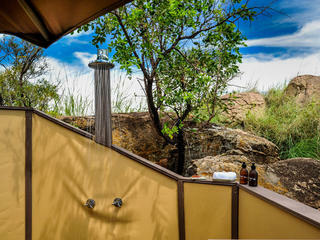 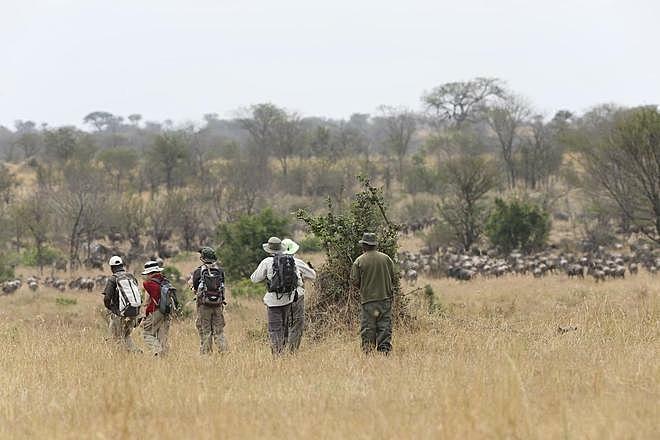 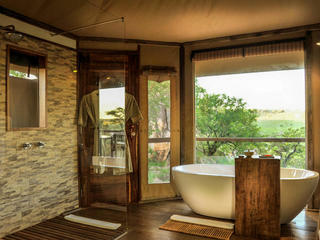 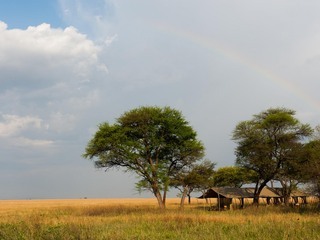 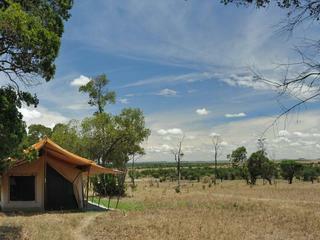 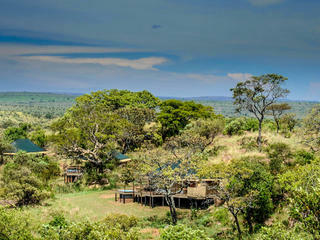 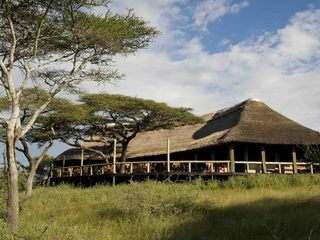 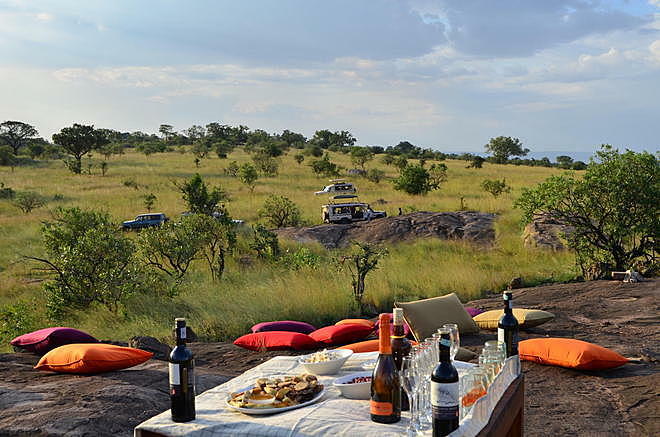 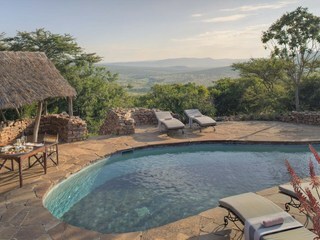 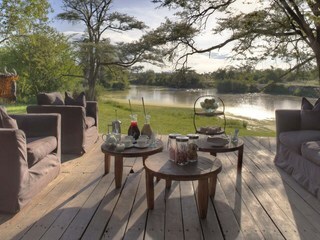 They offer fantastic views over the northern Serengeti. 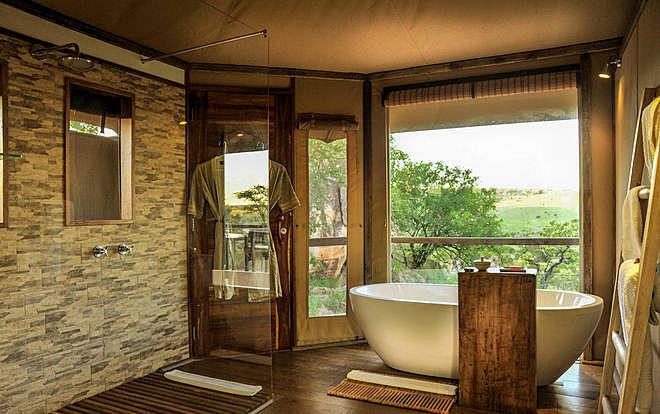 Each is fitted with twin or super-king beds, an en-suite bathroom and running hot water, and features a private plunge pool. 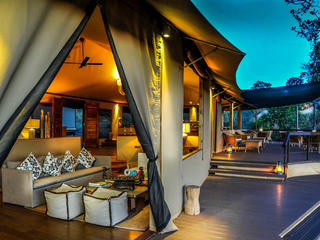 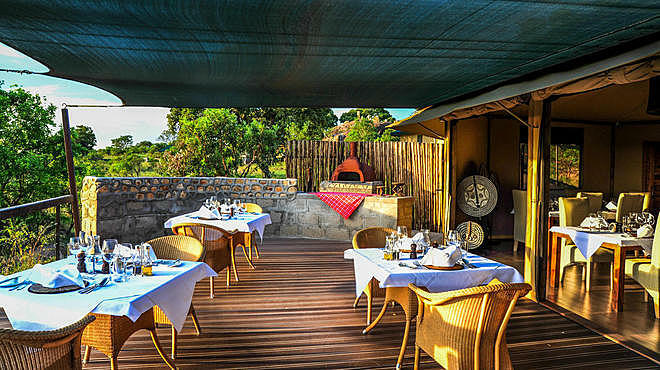 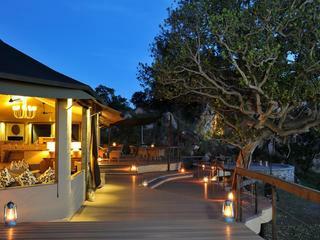 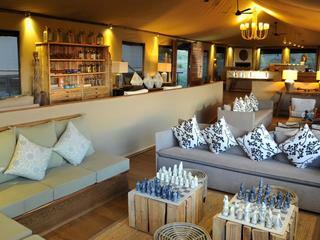 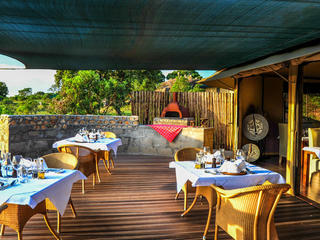 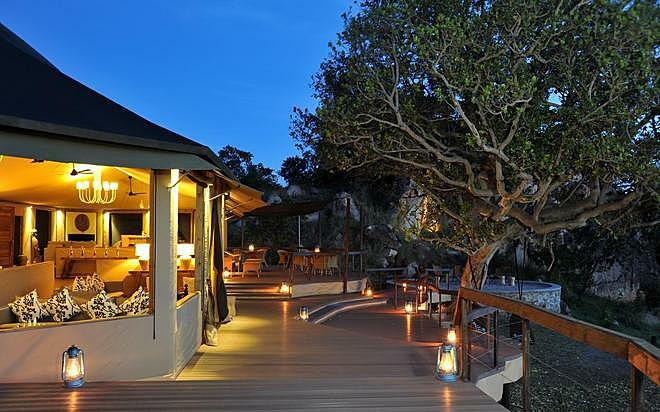 The accommodation is spacious and luxurious, complete with Swahili-style décor. 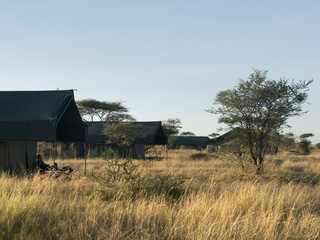 The main lodge is made up of three large tents. 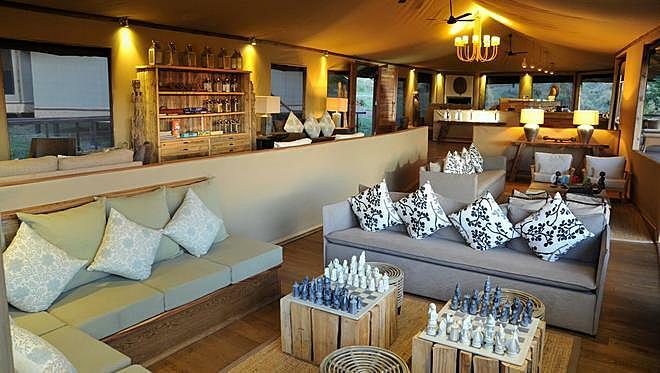 They house a lounge and bar, both of which lead to outside areas where guests can relax morning or night. 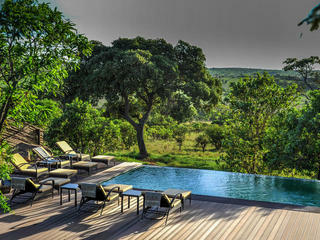 A communal swimming pool and sundeck is available for all guests. 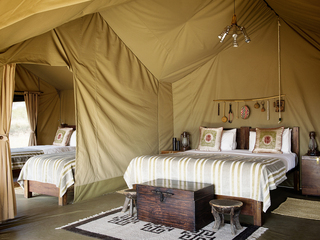 There is also a separate tent that features the Melengali Spa. 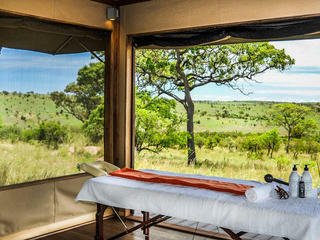 Here, guests can really relax with massages and manicures in complete isolation, with only the surrounding nature as company. 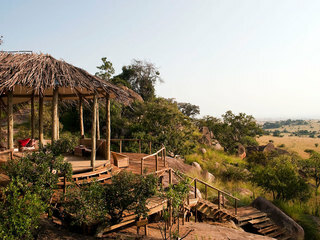 Children under the age of 6 are not recommended, but prior approvals can be made. 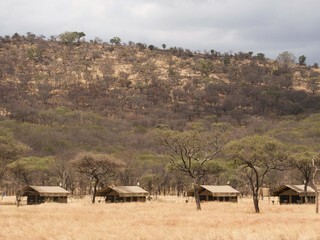 Child rates apply to those between the ages of 6 and 16 years. 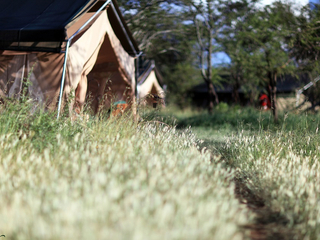 There is no accommodation exclusively for families.